MfA SD is committed to supporting secondary student mathematics achievement in our region. We offer summer math camps, led by MfA SD alumni who teach in local schools during selected years. See our Summer Math Camp page. The Math Tutor Corps at UC San Diego's Eleanor Roosevelt College (ERC) brings together several UC San Diego organizations to support math students at Lincoln High School in southeast San Diego. ERC students take a 2-unit course and learn how to tutor mathematics from MfA SD Master Teaching Fellows alumni. See our Math Tutor Corps page. 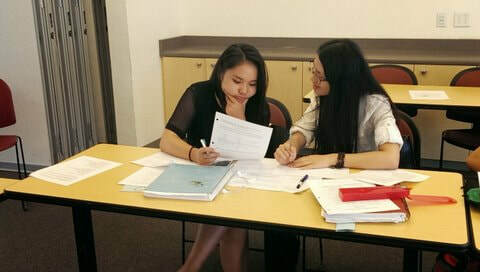 MfA SD is now offering Summer Mathematics Academies for high school students at partner school districts. See our Summer Academies page.